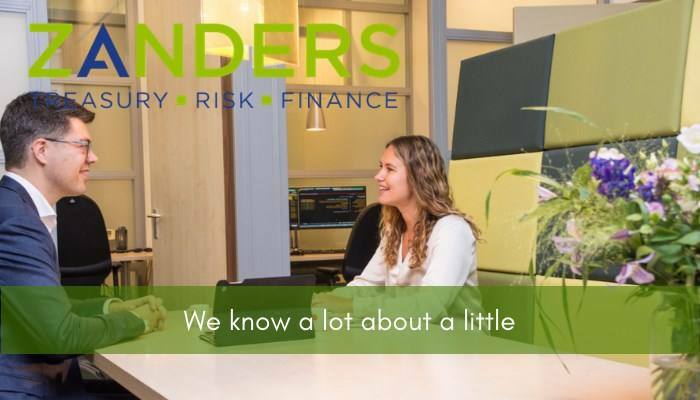 As a Consultant at Zanders, you can expect to work on live projects almost immediately, receive training and support from your senior colleagues, as well as the opportunity to study for the CFA program. Our corporate client department serves as a trusted advisor to many large multi-national corporations around the world. Because of our successful growth and large number of client engagements, we are looking for a graduate that wants to be at the forefront of using, and advancing, technology within corporate finance and treasury departments. Do you like to interact with clients and solve problems? Join Zanders and give your career a flying start! As a Consultant at Zanders, you will be a part of our Corporates consulting team in Antwerp. You can expect to work on live projects almost immediately, receive training and support from your senior colleagues, as well as the opportunity to study for the CFA program. You will have opportunities to work with multinational corporations both locally and internationally, guiding and implementing treasury solutions. Our 160 colleagues operate from our offices in The Netherlands, Belgium, the United Kingdom, Switzerland and the United States. We encourage our employees to share their ideas and to remain at the forefront of innovative services and solutions. We offer the possibility to specialize and develop professionally, taking on personal responsibility for client projects from an early stage. Our culture is transparent and thrives on the open exchange of ideas and knowledge between colleagues. Please send your application for Consultant: Treasury Technology at Zanders in Antwerpen including your CV via our website.